Matthew Staton "Matt" Bomer is an American film, stage and television actor. Since the show's debut in 2009, he has appeared as conman-turned-FBI consultant Neal Caffrey in the USA Network television series White Collar. He earlier had a recurring role in the NBC television series Chuck as Bryce Larkin. 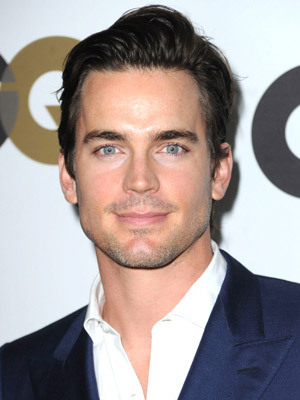 Matt Bomer was born in Spring, Texas, a suburb of Houston, the son of Sissi and John Bomer, a former Dallas Cowboys draft pick. He attended Klein High School with fellow actor Lee Pace. In addition they both acted at Houston's Alley Theatre, a non-profit theatre company. In 2001, Bomer graduated from Carnegie Mellon University in Pittsburgh, Pennsylvania, with a Bachelor of Fine Arts degree. After graduating from Carnegie Mellon University's School of Drama in 2000, he moved to New York City, New York, and worked on stage until he was cast in a small role, as Ian Kipling, on All My Children, a daytime soap-opera serial on the ABC television network. From 2001 to 2003, he portrayed the role of Ben Reade on another daytime television soap opera, Guiding Light, on the CBS television network. He starred as Luc, Tru's ill-fated love interest, in Tru Calling (2003&ndash;2004), a supernatural, science-fiction television series on the Fox television network. Bomer appeared on North Shore (2004&ndash;2005), a prime-time television soap opera, as well as in Flightplan , a thriller film with Jodie Foster. In the slasher film The Texas Chainsaw Massacre: The Beginning , Bomer portrayed Eric, a Vietnam-War veteran who is driving across Texas to re-enlist after his brother is drafted. The brothers run afoul of Sheriff Hoyt and are taken captive by the Hewitt family. Bomer costarred in Traveler , a short-lived midseason replacement television series which premiered on ABC on May 30, 2007. He has had the recurring role of Bryce Larkin on action-comedy series Chuck (2007–2009) on the NBC television network. On October 23, 2009, Bomer began starring in White Collar, which chronicles the fictional partnership between a con artist named Neal Caffrey and FBI agent Peter Burke . In October 2011 Bomer appeared in the science fiction thriller film In Time, in which he plays a 105-year-old man Henry Hamilton, who gives his "time" to Justin Timberlake before committing suicide, setting the main plot into motion. Bomer has three children, Kit, Walker, and Henry. In 2010, when asked about media reports regarding his sexual orientation, Bomer stated, "I don't care about that at all. I'm completely happy and fulfilled in my personal life." He declined to elaborate further, stating, "I have a network and a show riding on my shoulders," referring to his starring role on USA's White Collar. Bomer is good friends with high school classmates Lee Pace and Lynn Collins. Whole or part of the information contained in this card come from the Wikipedia article "Matthew Bomer", licensed under CC-BY-SA full list of contributors here.